BT has been told to invest more in its infrastructure unit Openreach, or face the breakup of its business. The House of Commons? Culture, Media and Sport Committee said today that the former state monopoly was ?significantly under investing? in Openreach, which is responsible for most of the UK?s broadband roll-out. MPs also claimed that BT has exploited its position to make strategic decisions that favour its own priorities and interests, for example by deliberately investing in higher-risk, higher-return assets such as media properties, and not investing in profitable lower-risk infrastructure and services through Openreach. ?Capital investment in Openreach has been broadly flat since 2009 until this year, and quality of service remains poor,? the Committee said. Based on a report commissioned from a panel of independent experts, the Committee concluded that the shortfall in investment could potentially be hundreds of millions of pounds a year. It called for BT to invest significantly more in Openreach, and allow the unit much more autonomy over what it invests, when and where. The Committee went on to express support for Ofcom?s plans for establishing greater separation between Openreach and BT Group, but stressed that if BT fails to ?offer the reforms and investment assurances necessary to satisfy our concerns?, the regulator should move to enforce full separation of Openreach. In response, BT said it was ?disappointed to be criticised, having invested more than ?1bn a year in infrastructure when the UK was emerging from recession and rival companies invested little?. The group noted that Openreach investment is 30% higher than it was two years ago and pledged to invest a further ?6bn over the next three years. 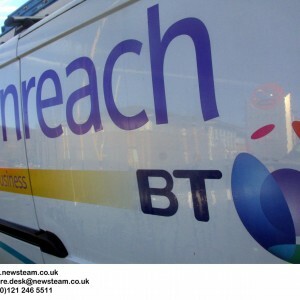 However, BT also agreed that customer service need to improve and said it is ?making significant progress in this area?. ?We are in discussions with Ofcom about increasing the autonomy of Openreach and we?re hopeful that a settlement is possible that will meet the concerns of the Committee. ?Separating Openreach from BT would lead to less investment, not more, and would fatally undermine the aims of the Committee. ?